The BarCraft Stainless Steel Double Walled Wine Cooler enables you to enjoy a fantastic bottle of wine at a refreshingly chilled temperature. 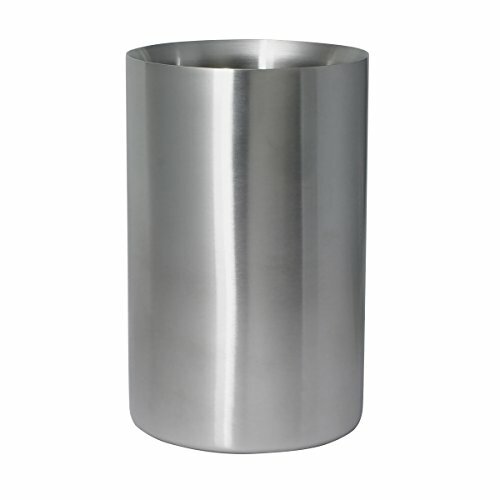 With its gorgeously brushed stainless steel finish, this wine cooler also makes a great table centerpiece for dinner parties. It features a double-walled design which insulates your crisp sauvignon blanc or a classic pinot grigio, keeping it chilled for longer. You can also fill it with ice, for even greater chilled insulation. If you have any questions about this product by Barcraft, contact us by completing and submitting the form below. If you are looking for a specif part number, please include it with your message.